MyOffice service was designed as a solution to manage your often overwhelming medical practice needs during office hours. When your daytime staff is consumed with the most important of their responsibilities, patient care, do not let your practice grind to a halt because of ineffective and mismanaged communications. MyOffice, whether used for overflow, during meetings, lunchtime or as your front office, will allow physicians, nurses, schedulers, and other staff to prioritize callbacks using a customizable, self-determined system that will mold to your offices’ specific needs. 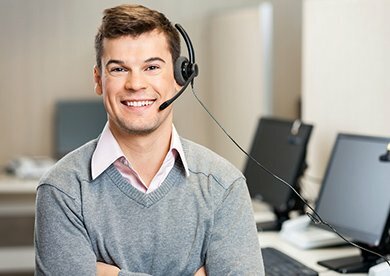 Our live operators answer exactly the same way they would if they worked in your office, meaning callers will not even know they are speaking with a medical answering service. Our operators answer the phone and allow our preprogrammed algorithms to direct the message to the appropriate staff member with their messages transcribed, based upon your instructions, and placed on the MyOffice web portal. 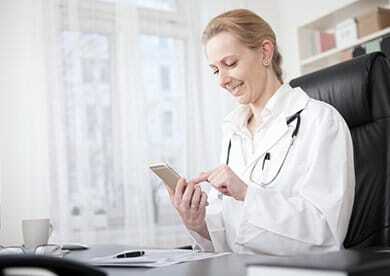 Our business already interfaces with many variations of electronic medical record systems. During the set-up period (mentioned above in the “How do I set up my personalized instructions?” section), we will assess your EMR system as it runs currently. If you do not use your own EMR system, then the service will act exactly as it is described in the above section. The MyOffice portal is a secure, web-based system (only requiring a username and password) that will keep an electronically documented account of all your messages, ensuring that nothing slips through the cracks during transmission. You or any other user in your group may then view, sort, assign and prioritize the messages for handling in whatever manner directed to make certain your most important calls are always handled first. When you view your messages in the MyOffice portal you will be able to filter them based upon the date and time they were received, their status- new, received, completed, their urgency- normal, sever, critical, to whom they have been assigned by you or another practice administrator, by caller, by patient, or by who was requested. This message management tool will allow you to easily locate any particular message and ensure that it is handled promptly by whomsoever you choose from your staff. Minimizing the number of people required to answer your incoming calls – saving you time and money. Patients never receive busy signals and all calls are answered promptly and professionally, resulting in more appointments, more revenue. Your priority of call handling ensures patient satisfaction – also maximizing your revenue. MyOffice is a fully HIPAA compliant, secure, web-based portal. Can be customized to interface with your EMR System. Contact TeleMed today for additional information including pricing, proposal and a live demonstration.